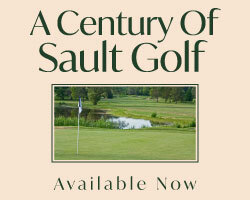 Those familiar with Simcoe County golf will be no stranger to this two course facility. Located a mere drive and three-wood west of the Village of Tottenham, Woodington Lake Golf Club is home to a wonderful two course complex. 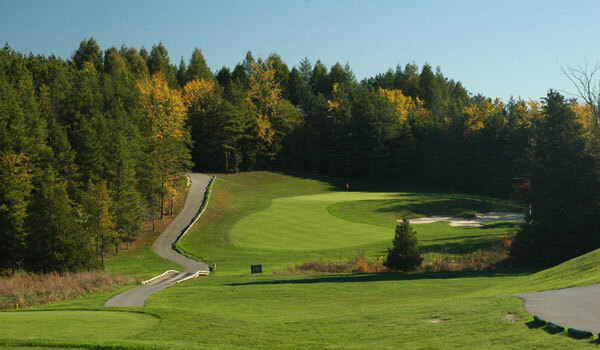 Opened in 1995 with what is now the Legend course followed in 1998 by the opening of the gallant clubhouse and in 2007 owner and designer Harry Allard added the Legacy course to the complex. With two completely different designs this facility, if already not experienced, needs to be on your summer itinerary. 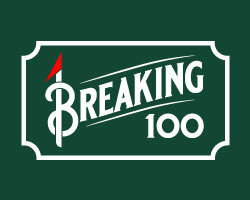 The Long: The Legacy course might be one of the hardest golf courses on the planet based on its rating and slope index. Playing a beastly 7606 yards with a rating of 76.9 and sloped at 146, there are few layouts that have a difficulty rating equal to the Legacy. With every par 4 playing in excess of 417 yards and two of the 3-shoters playing near 600 yards, your rescue clubs and fairway woods will get a work out. The Legends has some teeth to it as well, with a collection of wonderful lengthy par 4’s beginning with Hole 8 and 9 and continuing onto the back with great designs at Holes 13 and 15. Arguably one of the finest par 3’s in these parts is number 6 on the Legends playing 217 yards uphill over a wetland. After hitting 8 balls to a back right pin, the best result was a 15 foot side hill slider. A true beauty with a wicked streak. The Short: The par 3’s on the Legend course are a terrific collection of short holes. Number 3 playing 91- 181 yards has a huge sloppy target protected well by water and grass bunkers. Hole 11 plays up to 200 yards to a narrow uphill green site. However the best short shot on this course comes from the approach into the stunning par 4 finish hole. If your drive finds the fairway through the tight corridor of trees you are now faced with a rock wall guarding a green with a forced carry over the namesake Woodington Lake to a 2 tiered putting surface. The Legacy doesn’t have much in the way of short, but the two short (sic) holes on the front side are filled with demanding challenge. Hole 4 plays downhill, but the 257 yards from the back, playing into the prevailing wind makes it a formidable task. Hole 8 is a brilliant par 3 playing with a forced carry over an expansive pond. At 180 yards it is the second shortest hole on the layout. 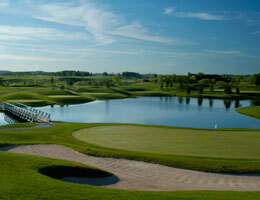 This two course facility easily rivals other facilities for design and challenge. Woodington Lake stands out with a great opportunity to enjoy that challenge at a terrific value. With Monday and Tuesday rates of $55, there is no better reason to book a 36 hole day and see some wonderful holes without feeling a hole in your wallet. An easy drive from just about anywhere, put Woodington on your to-do list this summer.